The first step to updating our fence is done. And I have to say that none of it was my doing. Joey gets all the credit. We’ve wanted to move up the east side of our fence since before it was even erected. 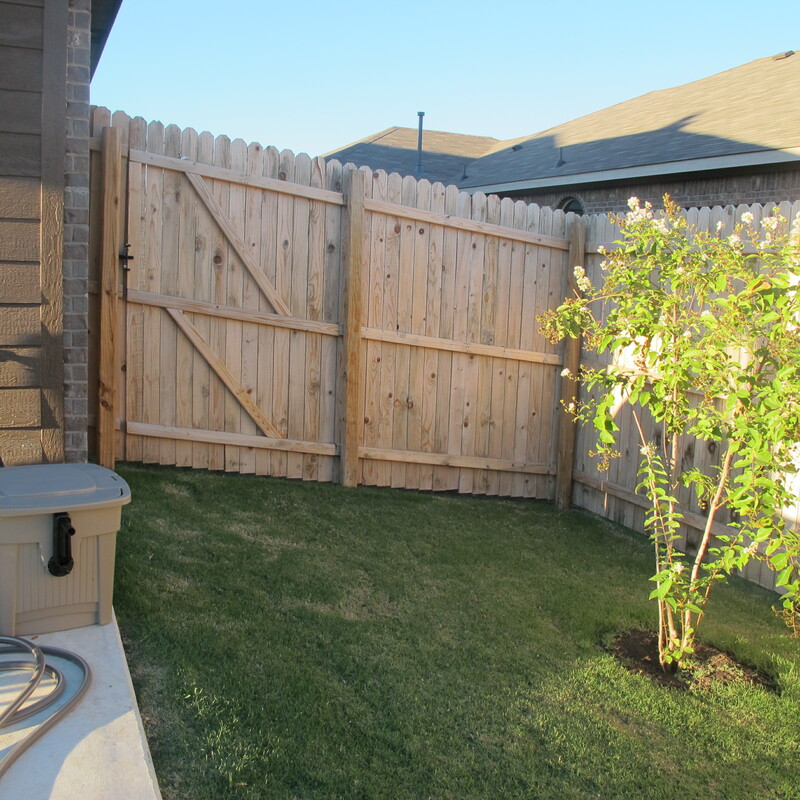 Our builder provided enough fencing to bring the fence to the front of our property on the west side, but it fell even with the back corner of our house on the other side…. 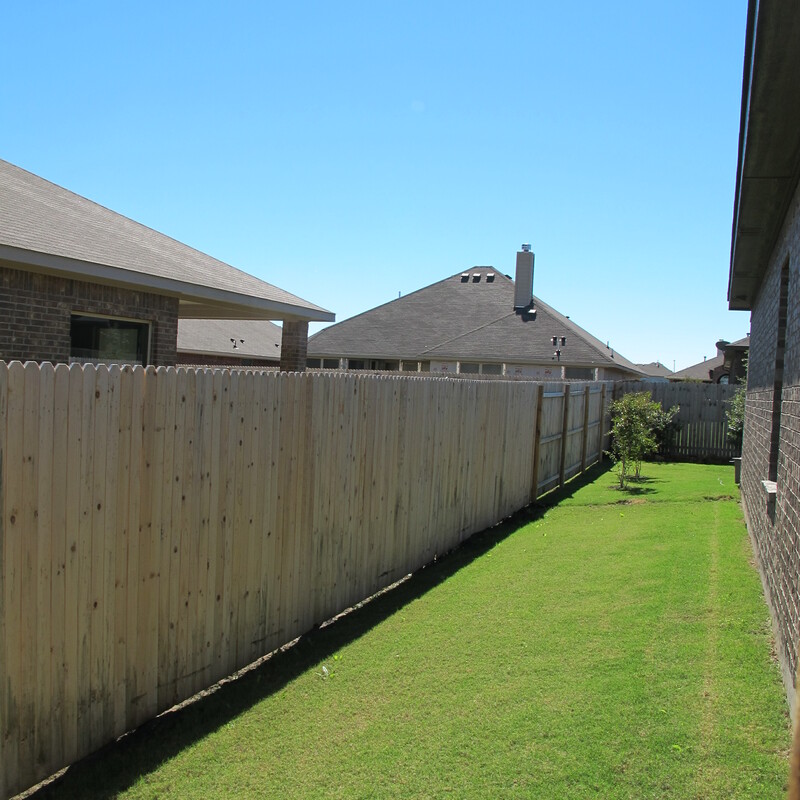 We felt like this cut off our yard and deprived us of valuable space for storage along the side of our property. 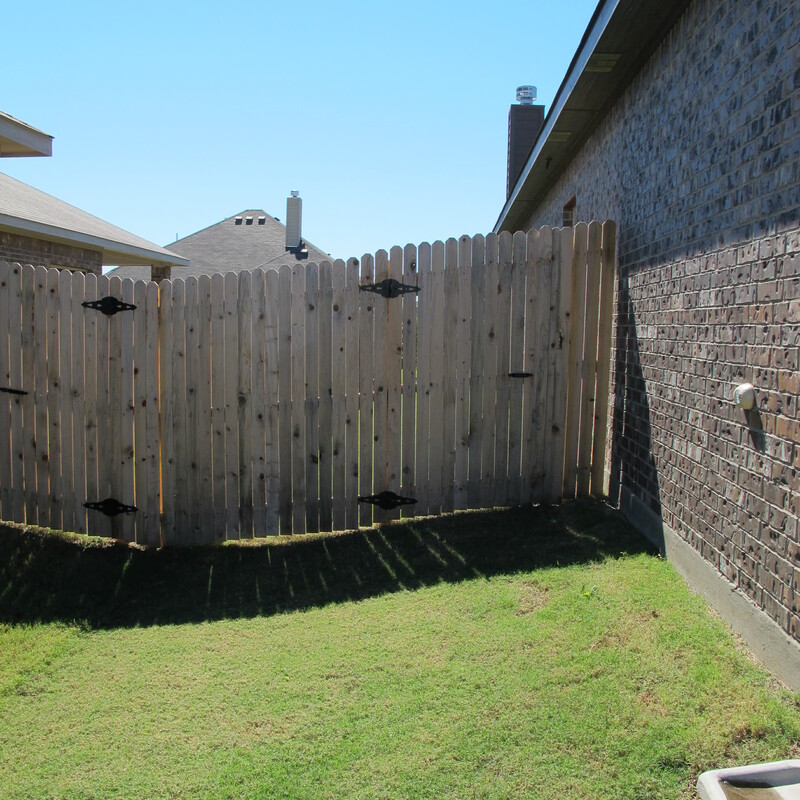 We decided to wait until the house next door was built and their fence was up so we would only have to move the front section of our fence, rather than having to purchase a side portion as well. 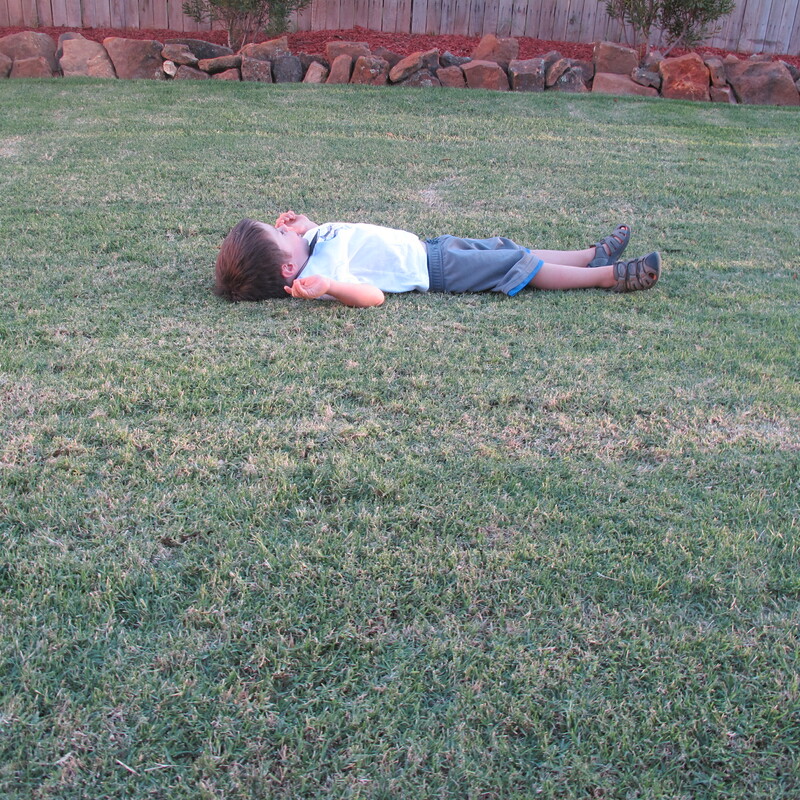 Now, I’ll be honest, I don’t know all of the nitty-gritty steps involved in this project. I do know that Joey was out there for a while working on it. So, this is just a quick summary of how he did it. 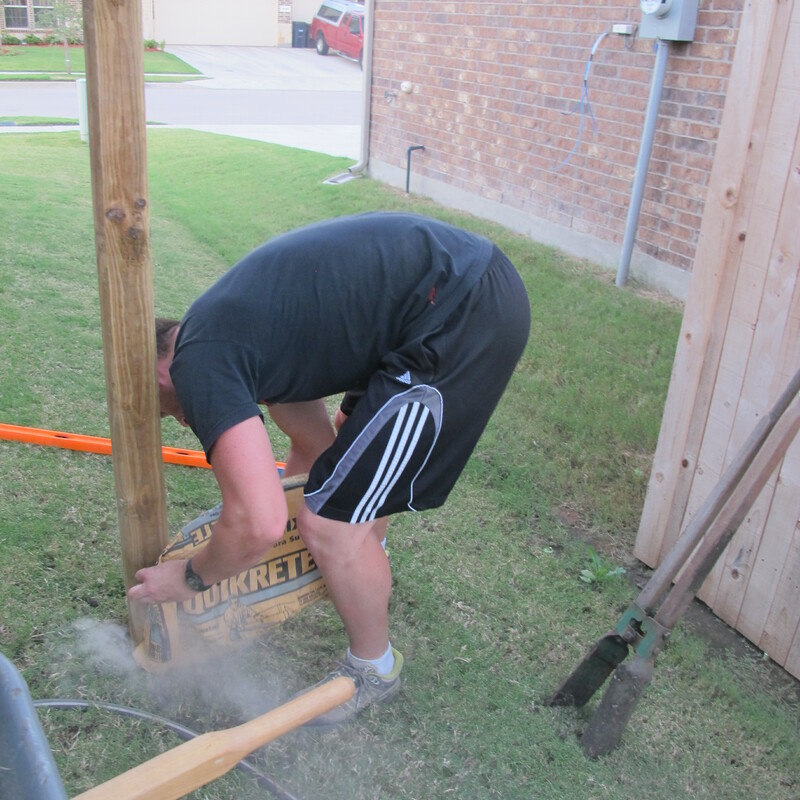 Joey started by first sinking the new fence posts. 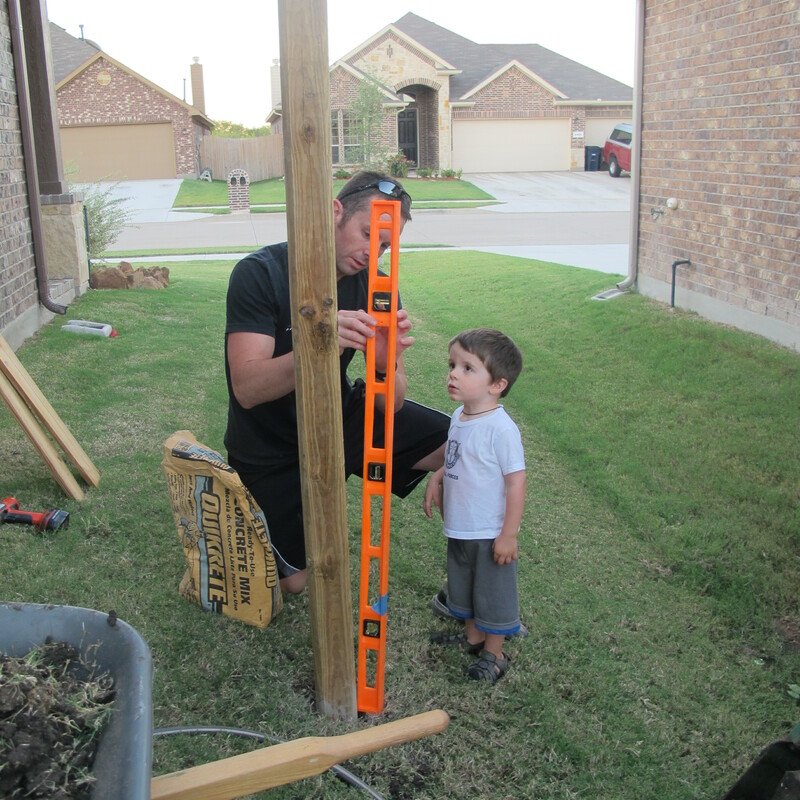 He measured the locations of our existing fence posts and dug holes in the same locations but lined up with the front of the neighbors fence towards the front of our house. 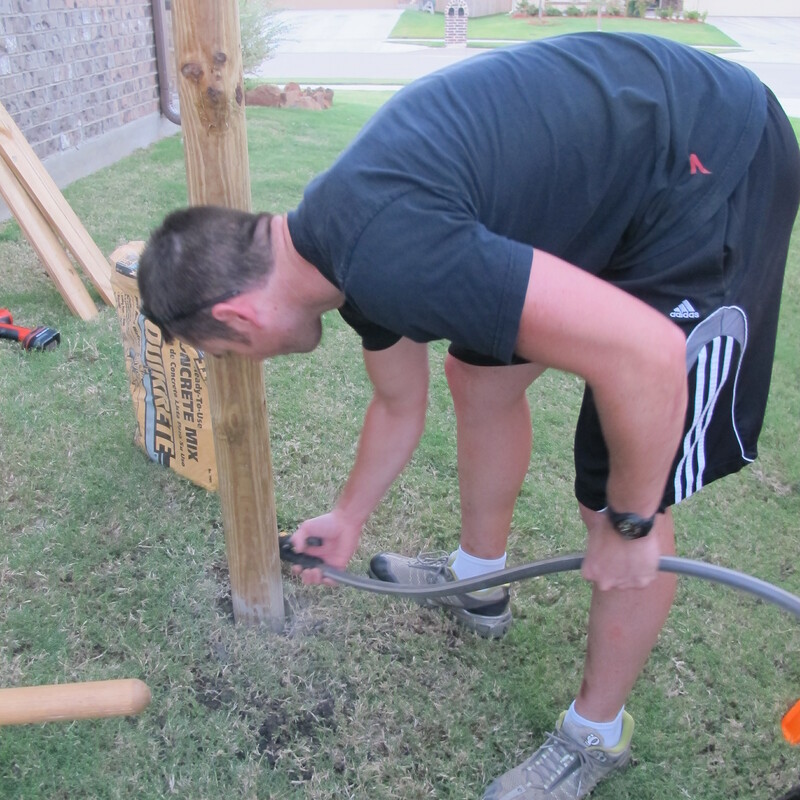 Next, he set the posts in the holes and poured in Quikrete. 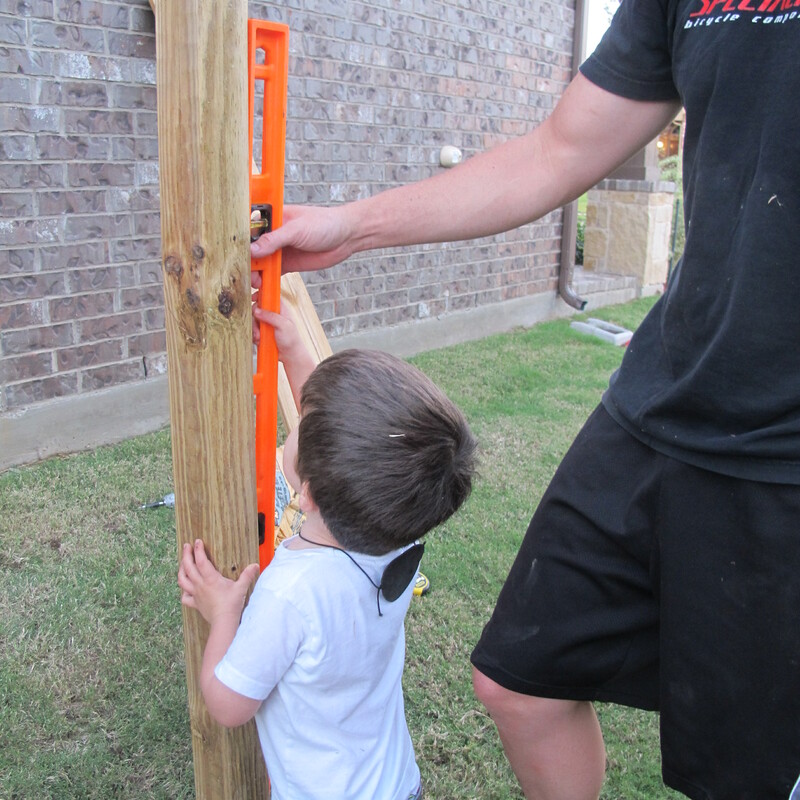 Then, Joey built temporary supports so that the posts would remain level as they set…. Joey allowed the posts to set overnight and the next day, he gently pried the fence off of the existing posts in sections with a crow bar. 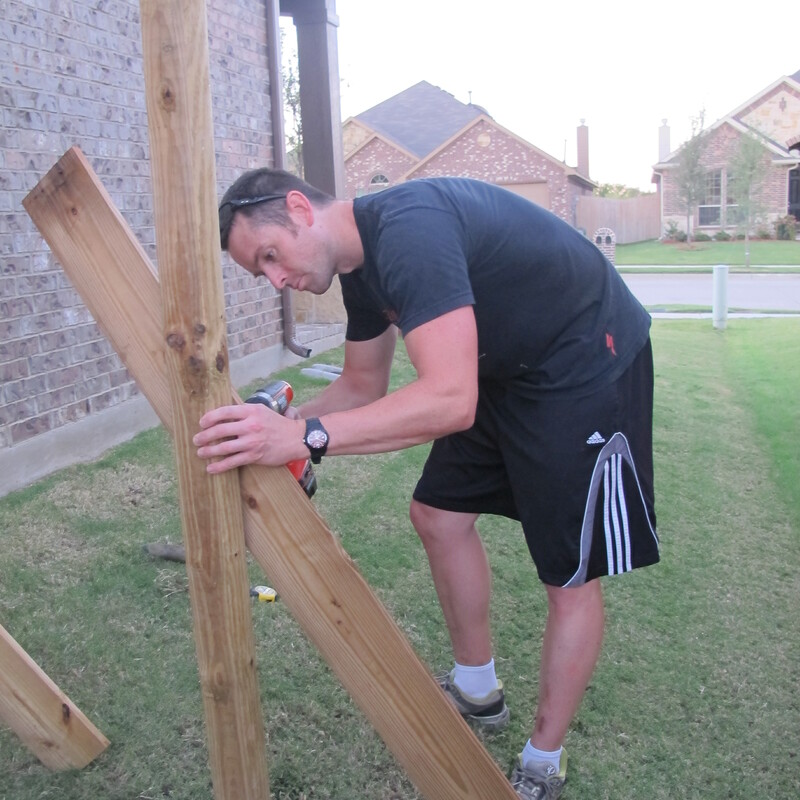 He then reattached these sections to the new posts near the front of our house. And, removed the posts by the back of our house. 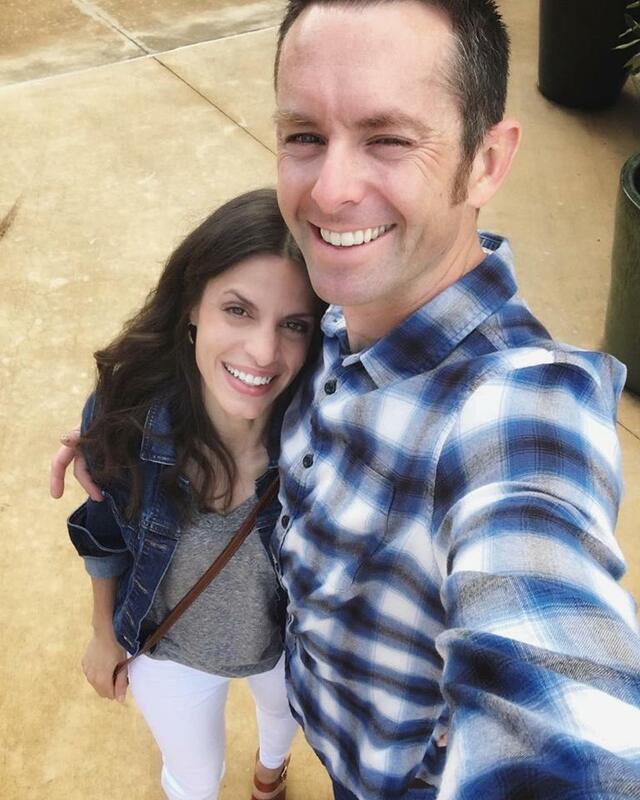 Look how much space we gained…..
Nice. We were thinking of creating some storage for Lucas’s toys over here. 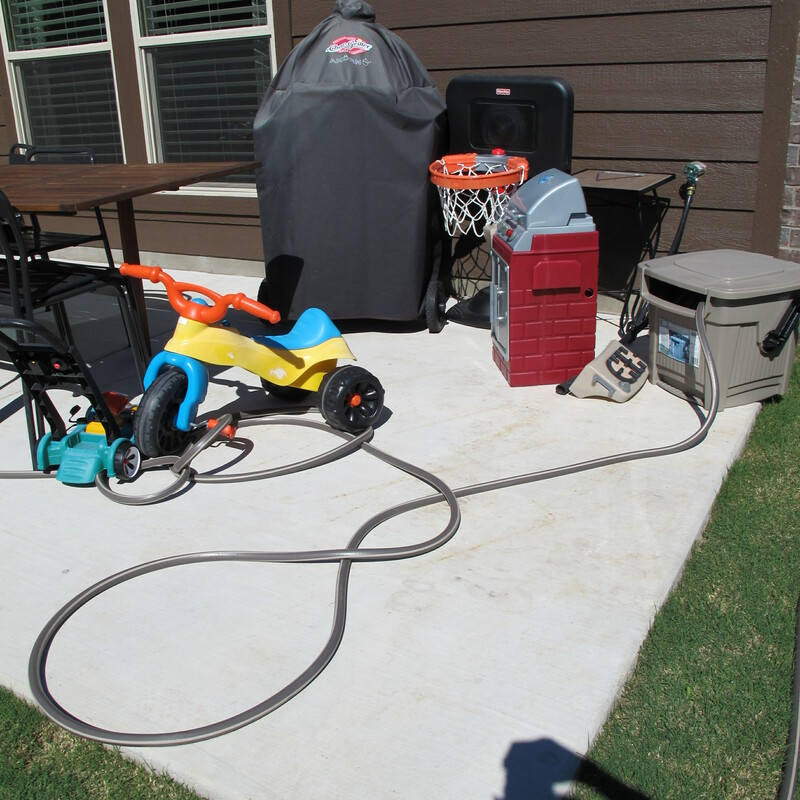 Because (when I’m not taking nice pictures for the blog) our patio actually looks like this…. « Hey, Pumpkin! No, I Lucas. looks great! Joey does nice work and i am very impressed. Great Job Joey! I was also very impressed with your little assistant! Haha! 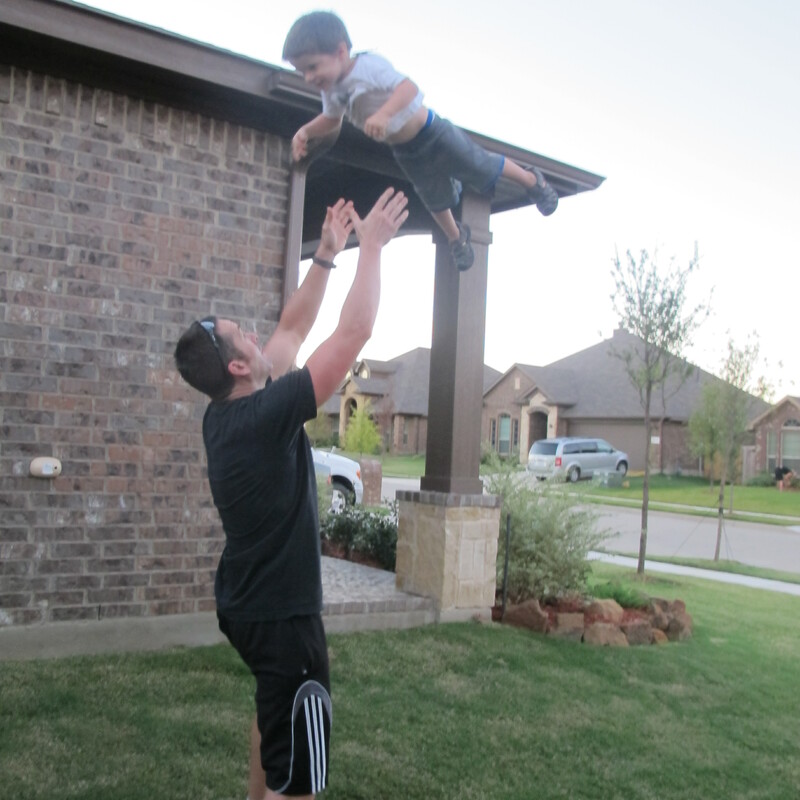 According to him, he’s been able to fly for months. He just requires his cape.